Some receipts for your consideration. While Meghan Markle and Prince Harry are busy making the crowds in Australia go wild, Kate Middleton and Prince William are living it up in London, and Kate is legit d r i p p i n g in diamonds and pearls. For a snazzy state dinner at Buckingham Palace to honor King Willem-Alexander and Queen Maxima of the Netherlands, Kate donned a bold blue Alexander McQueen gown, a yellow ribbon with a picture of the Queen (as one does), and a sparkly tiara because she can. 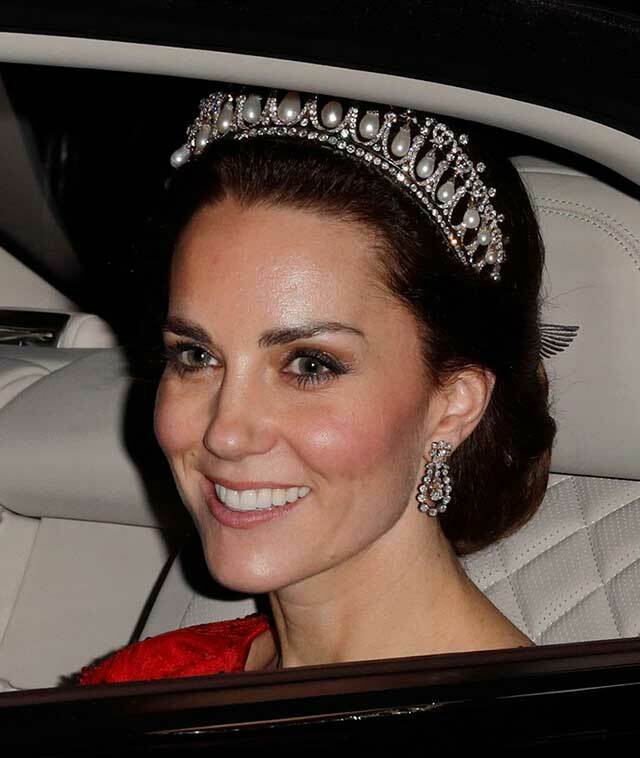 Just one thing: Doesn't that tiara look awfully familiar? 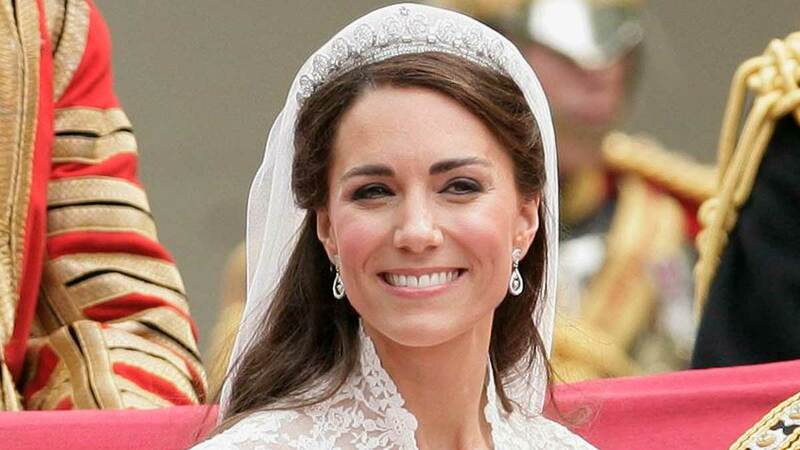 Kate Middleton might be royalty, but that doesn't mean she can't indulge in some outfit and tiara repeating from time to time, and she basically wears the Lover's Knot tiara as much as a normal person wears a baseball hat. Exhibit A: Here she is at the state dinner on October 24, 2018. Exhibit B: Here she is at another dinner for Spain in 2017. Exhibit C: And here she is at a Diplomatic Reception at Buckingham Palace in 2016. 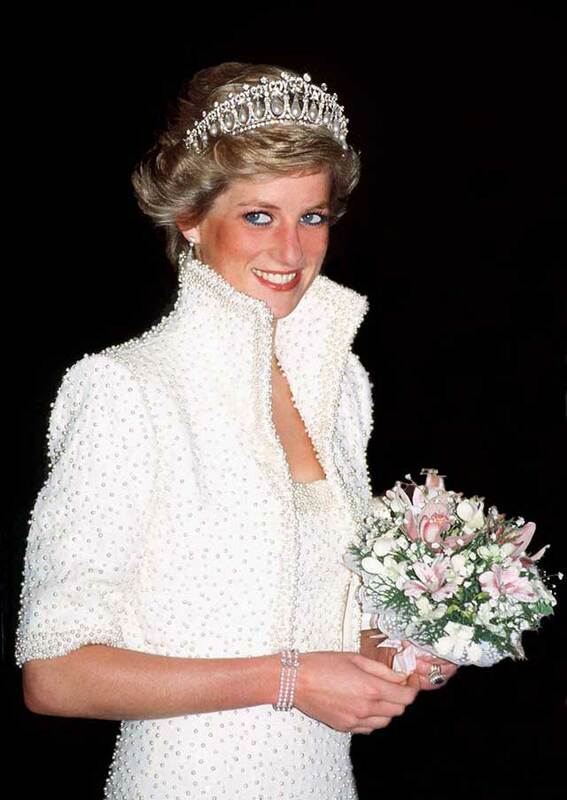 Kate's not the only one who had a fondness for these jewels—Queen Elizabeth II loaned it to Princess Diana as a wedding gift in 1981, and Diana wore it on several occasions while married to Prince Charles. 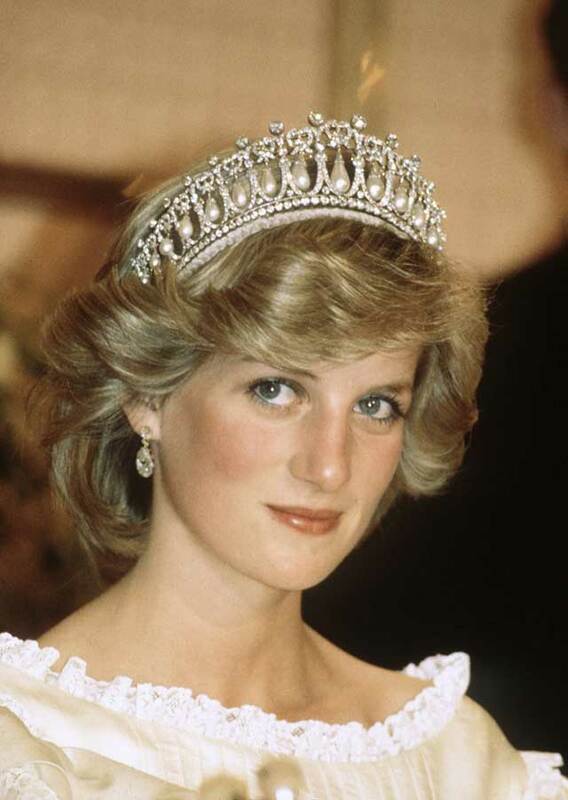 Although, once she and Charles got divorced, Diana had to return the tiara, which was then reportedly held in a safe until Kate decided to dust it off and wear it in 2015. 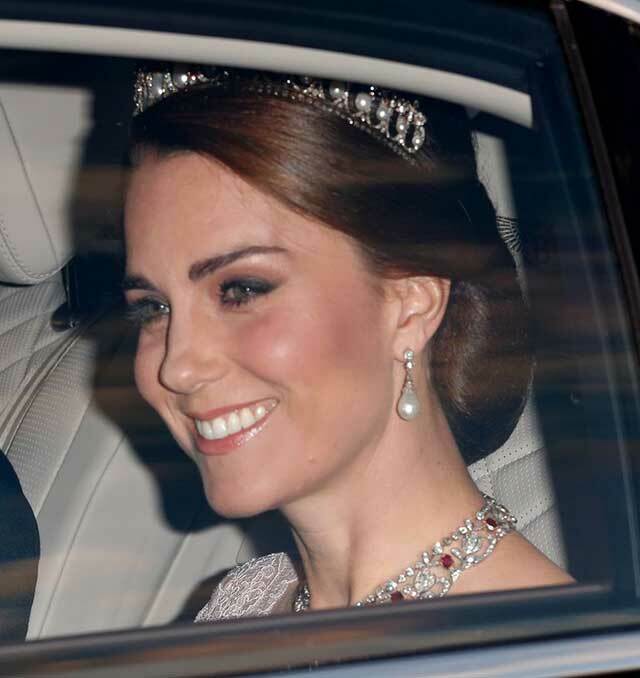 Now it looks as if it's Kate's accessory of choice, and, TBH, can you even blame her?